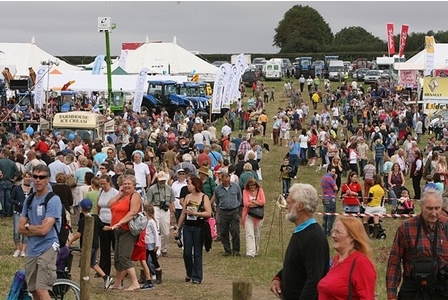 Are you planning to visit the Dorset County Show on the weekend of the 5th & 6th September? A visit to our stand A19, where we will be joining LED lighting design experts Led-Zip Lighting, will see you leave the show with a much more optimistic view of your energy future – and a knowledge of the tools that will enable you to implement a reduction of more than half the running costs for your home or business. Our experts will be on hand to dicuss the energy savings of renewable heating and the government Renewable Heat Incentive or RHI. Solar Energy and the electicity cost savings you will benefit from, as well as the government’s 20 year Feed in Tariff payments. NGPS is also preferred installer of the Enphase Inverters for solar energy generation, this means our solar panel systems will generate up to 35% more energy and enables us to consider roofs with shading issues and a smaller roof space. We also have a range of low cost add-ons to your solar energy system, which can see you generate a large percentage of your own hot water for free. And the amazing cost reductions of LED Lighting. If you would prefer to book an appointment on the stand, please contact Nick Good on nick@ngps-ltd.co.uk or call 01202 713816. Or, visit stand A19 at your leisure on either day.